Hannah lived a life seeking out adventure and secrets, until one day she created an incredible secret of her own: a secret she carried to her death bed. None of the six friends carrying her casket to its final resting place know Hannah’s strange secret, but maybe once you hear each of their memories of her… maybe YOU will. 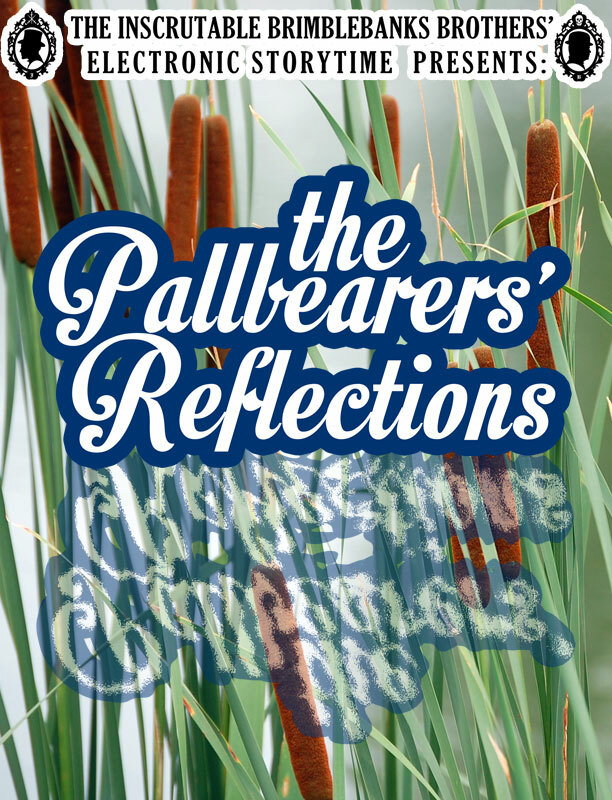 “The Pallbearers’ Reflections” is written by Brodie H. Brockie and stars Brockie as Bentley Brimblebanks and Justin Vidovic as Jameson Brimblebanks. This episode’s story was brought to life by the voice talents of Amanda Burch as Hannah, Jared Hoffert as James/Echo, Gianna Zampardo as Larissa, David Melcher as Michael, Erin Mettler as Amber, Zack Johnson as Fred, Annika Francisco as Young Hannah, Thomas Ballbach as Young Stanley, and Patrick Johnson as George the American tourist. This episode’s commercial, “The McFeely” was written by Justin Vidovic and stars Justin Vidovic and Brodie H. Brockie. This episode’s musical guest is Little Timmy Tinerbox with the song “I’ve Got a Suitcase Full of Mollusks” written by Brodie H. Brockie. This entry was posted in podcasts and tagged Amanda Burch, Brimblebanks Brothers, Brimblebanks Manor, Brodie H. Brockie, Justin Vidovic, mystery, podcast, stories, weirdness. Bookmark the permalink.